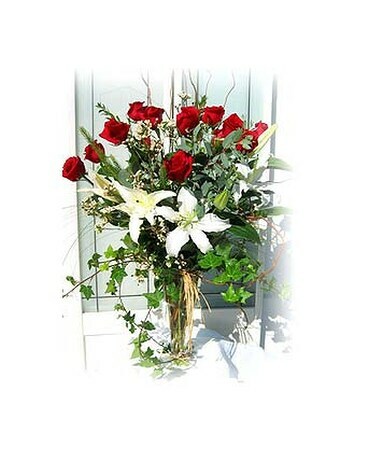 Long stem Ecuador red roses & Casa lilies are used in this arrangement in a nice tall clear glass vase. Assortment of greenery i.e. eucalyptus, ivy, myrtle and curly willow are presented to add interest. (Certain flowers and container may be varied and will be substituted in order to keeping the best representation).